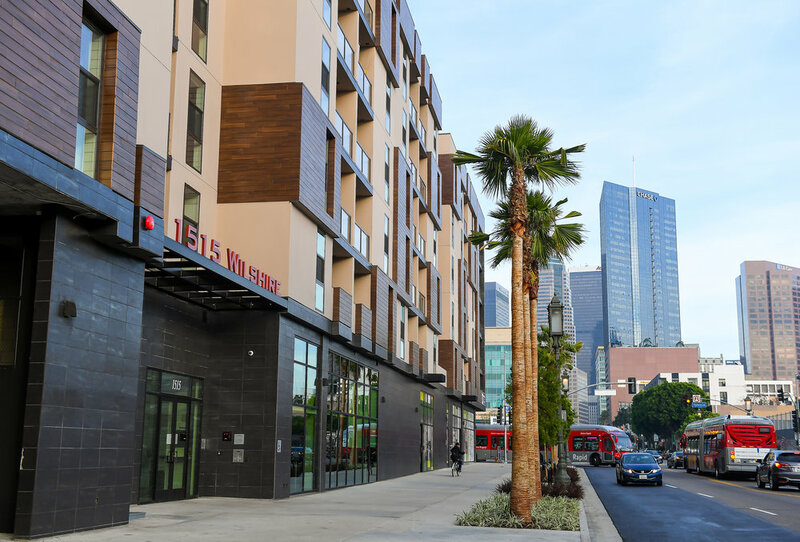 A recently built Wilshire Boulevard apartment complex has sold for more than $80 million as residential development spreads west from downtown Los Angeles into the city’s historic Westlake district. Beverly Hills developer Sonny Astani said he sold the 218-unit Wilshire Valencia apartments at 1515 Wilshire to Anaheim mobile home community developer Kort & Scott Financial Group on Monday. He paid $7.6 million in 2012 for the 1.5-acre site at the northwest corner of Wilshire Boulevard and Valencia Street and said at the time that he would spend $60 million to build apartments on top of shops on land then occupied by vacant commercial buildings and a parking lot. The Wilshire Valencia was completed in January and is more than 90% occupied, Astani said. The site is across the street from John Liechty Middle School, between Good Samaritan Medical Plaza and a Home Depot store. In 2006, Astani built a 200-unit condominium building called Vero one block east of the Wilshire Valencia. Gentrification is edging into Westlake from downtown after decades in the doldrums when the neighborhood was considered blighted and little development took place. When the neighborhood around the Wilshire Valencia was created in the 1890s, it was called Orange Heights and was one of the choicest addresses in town, Fischer said. In the 1930s, Wilshire Boulevard was extended east through what is now MacArthur Park and connected to Orange Street, which was renamed Wilshire and flowed into downtown. Today the 16-mile boulevard is one of the best known streets in the world. “The Wilshire corridor has international appeal,” Astani said, and new arrivals in the Westlake district come from South Korea, China and Russia as well as the U.S.
Because it is cheaper to develop there than downtown, the average apartment rents for as much as $400 less than comparable units in downtown’s booming South Park neighborhood, Astani said. Apartments at the Wilshire Valencia run from $1,500 to $4,300 a month, he said. Another major apartment-retail complex planned for downtown L.A.